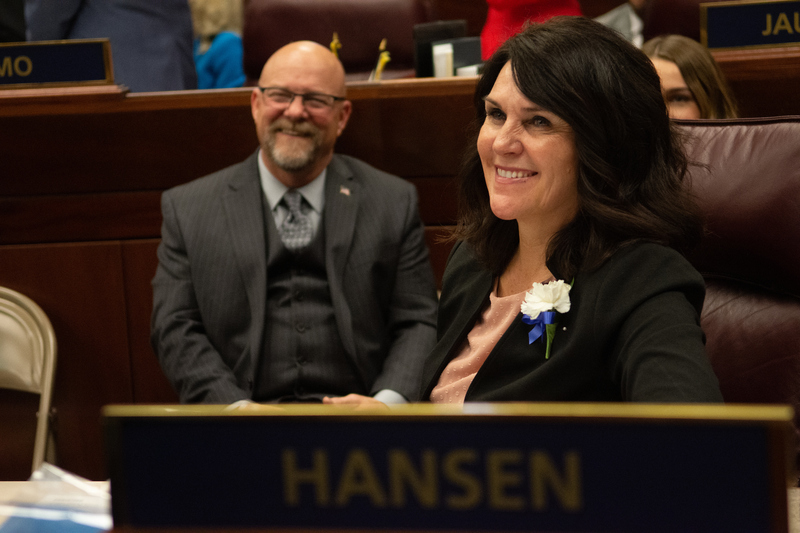 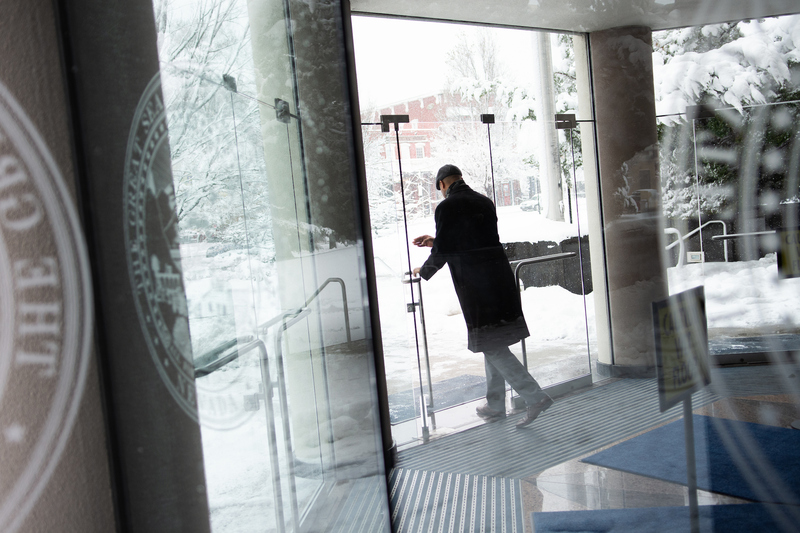 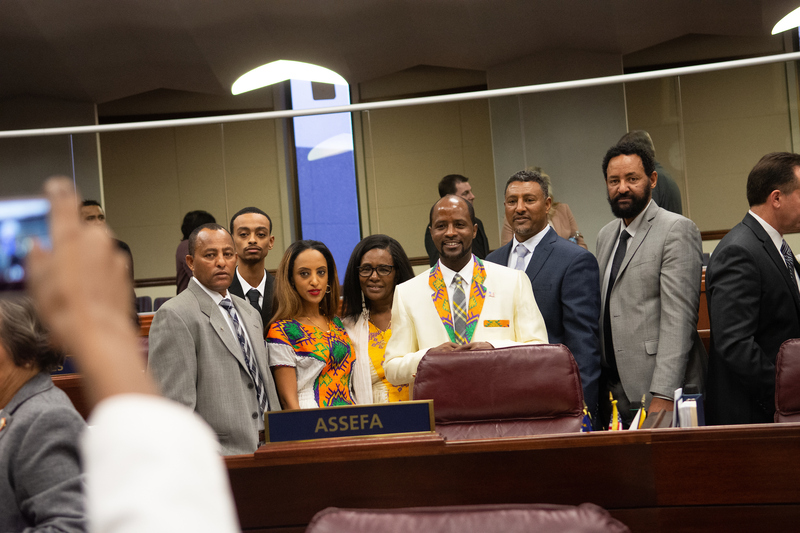 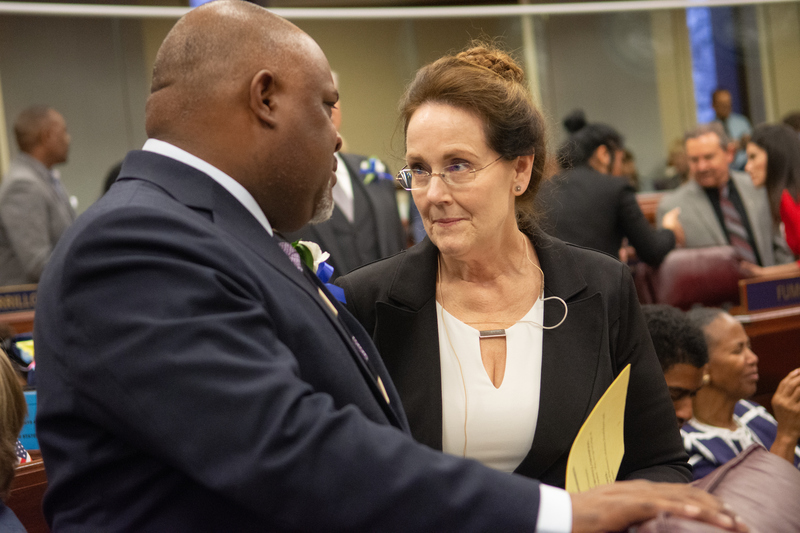 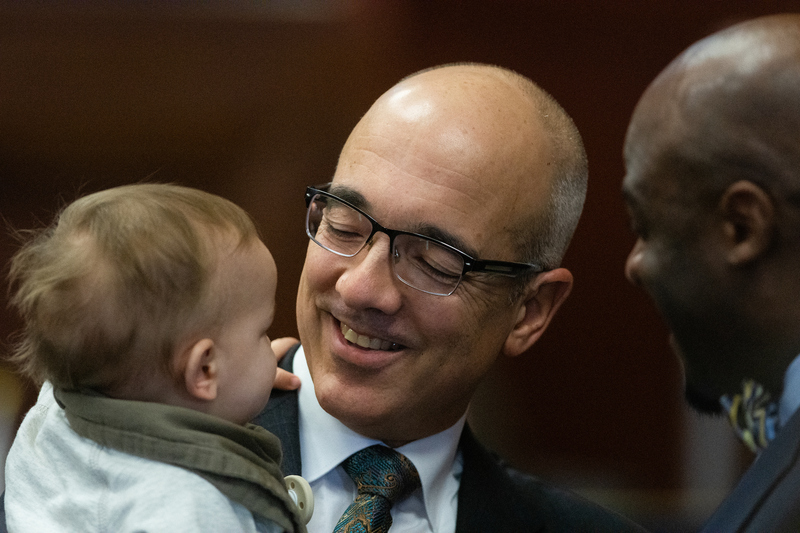 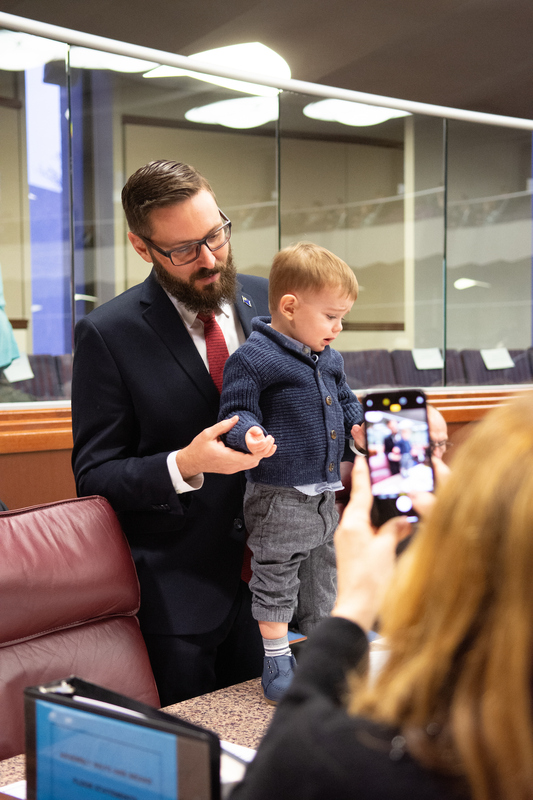 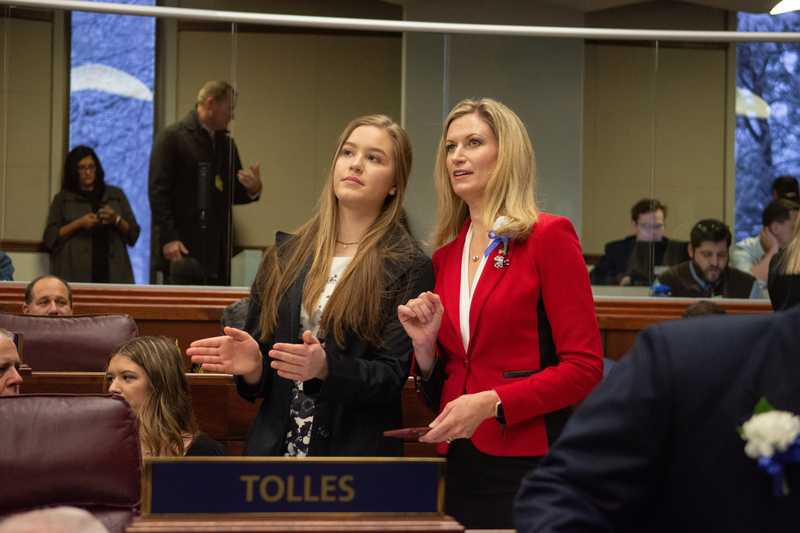 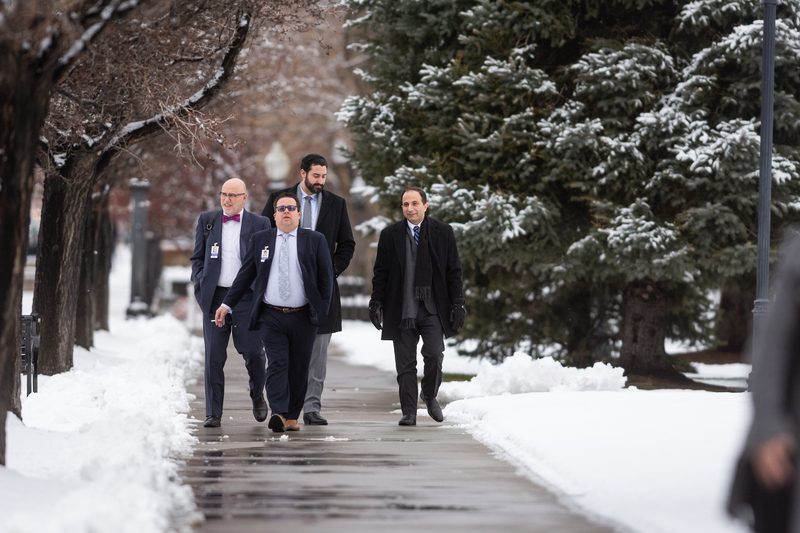 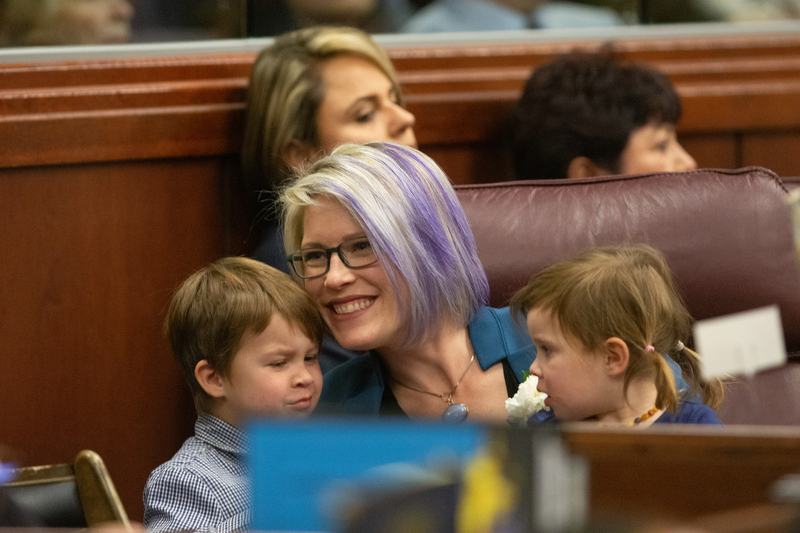 Lawmakers spent Monday toting their children through the halls of the Legislative Building and introducing their spouses to their new colleagues. 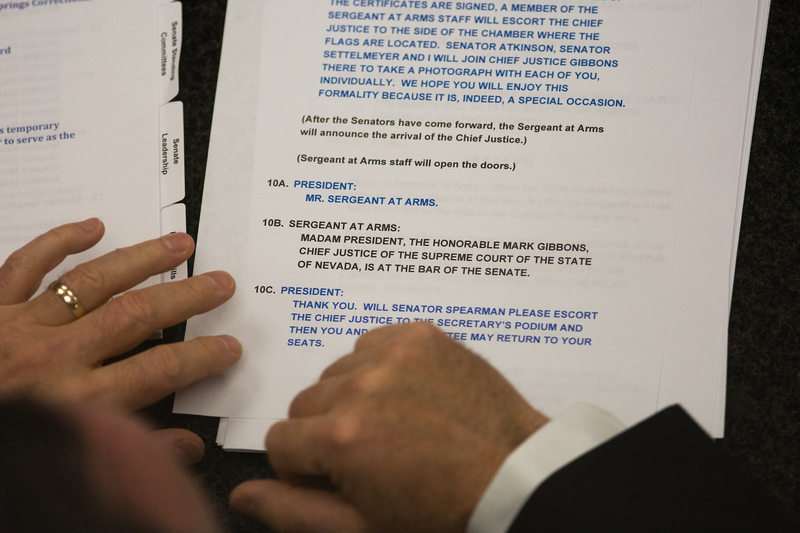 Bouquets of flowers decorated the desks of senators and the Capitol Police donned their finest uniforms and doubled as an honor guard to present the American flag. 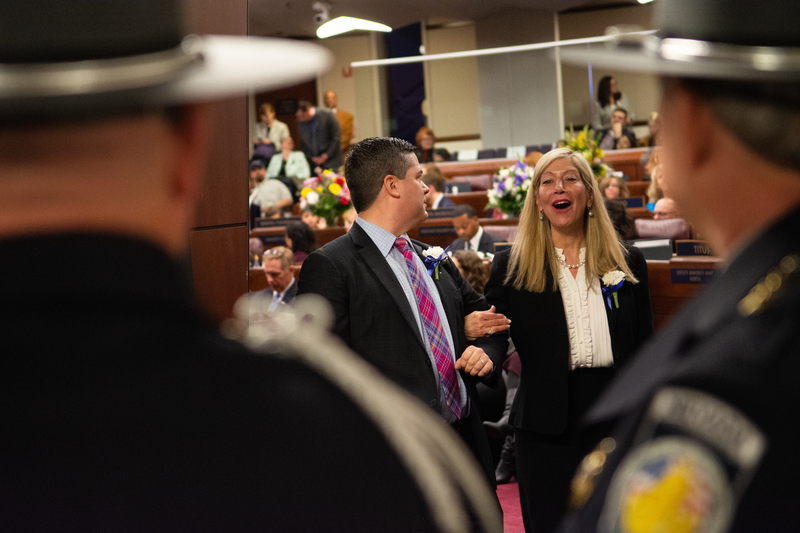 But the usual pomp and circumstance of the Legislature’s opening day was extra special this year. 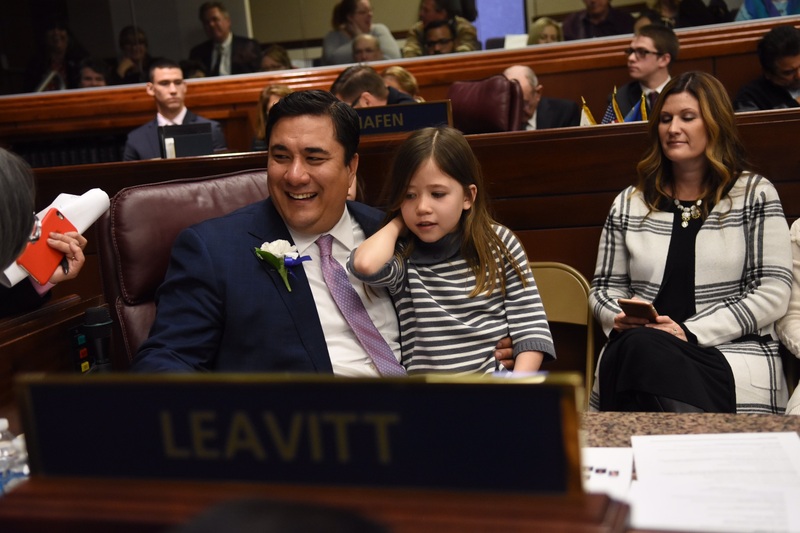 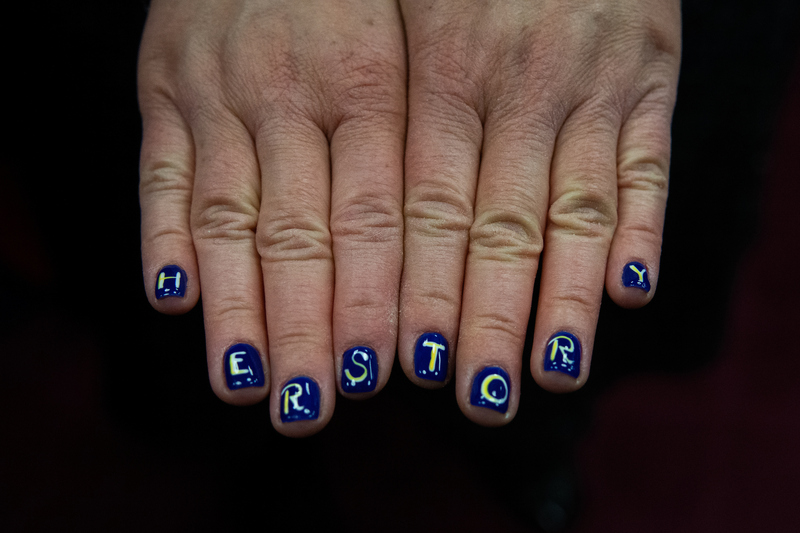 For the first time in American history, and about a century after women gained the right to vote, a U.S. state finally has had more women than men as lawmakers. 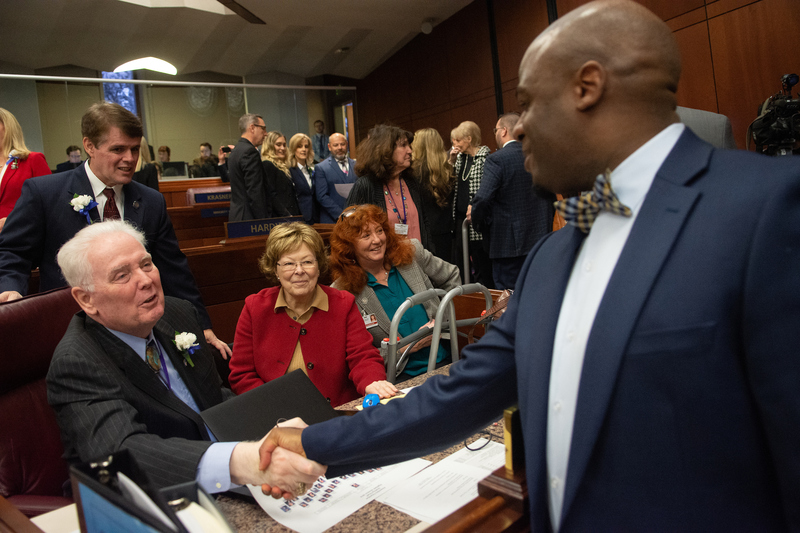 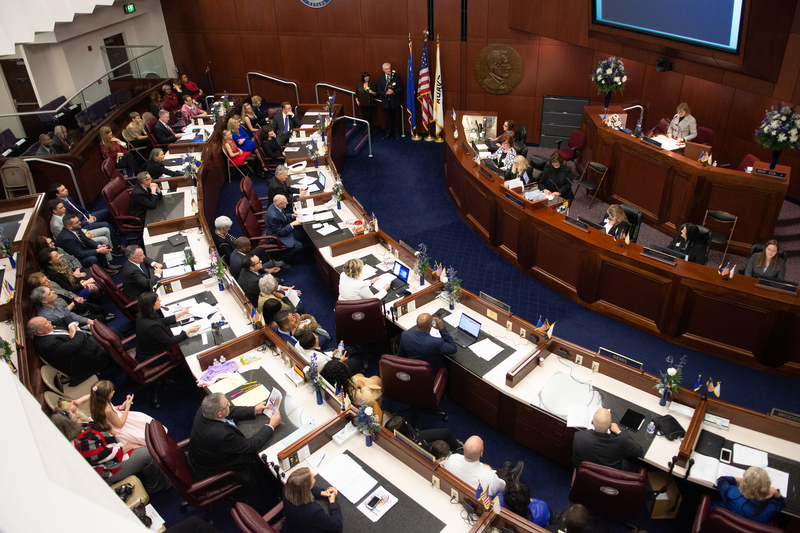 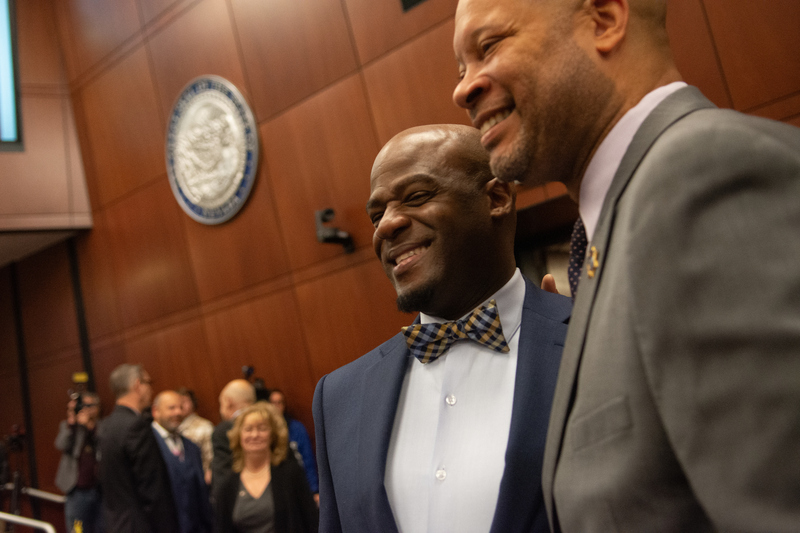 Nevada’s milestone made it into the speeches that Senate and Assembly members made to call for unity among their colleagues. 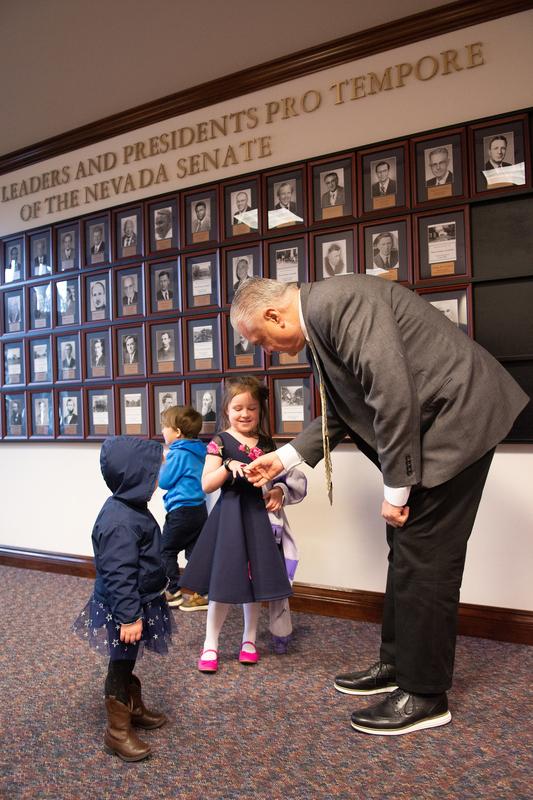 And among the many photos lawmakers would pose for during the day was one featuring the 32 women who helped break the glass ceiling. 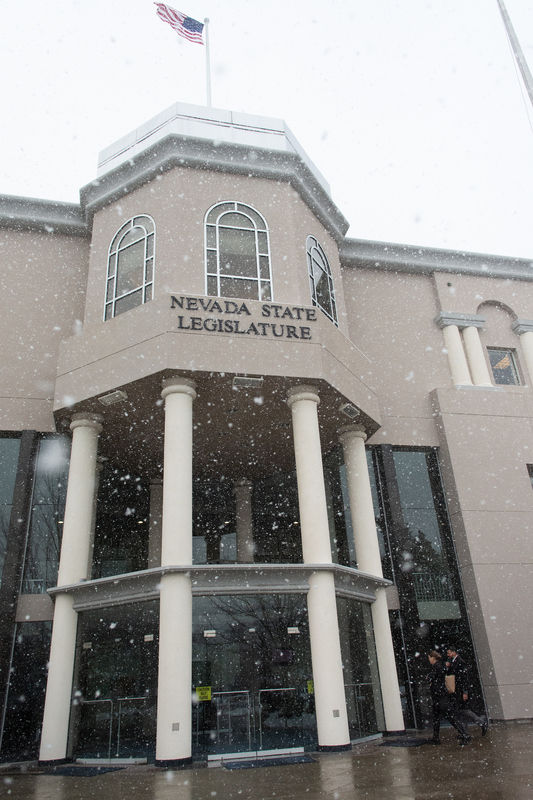 The next 119 days will be full of state business. 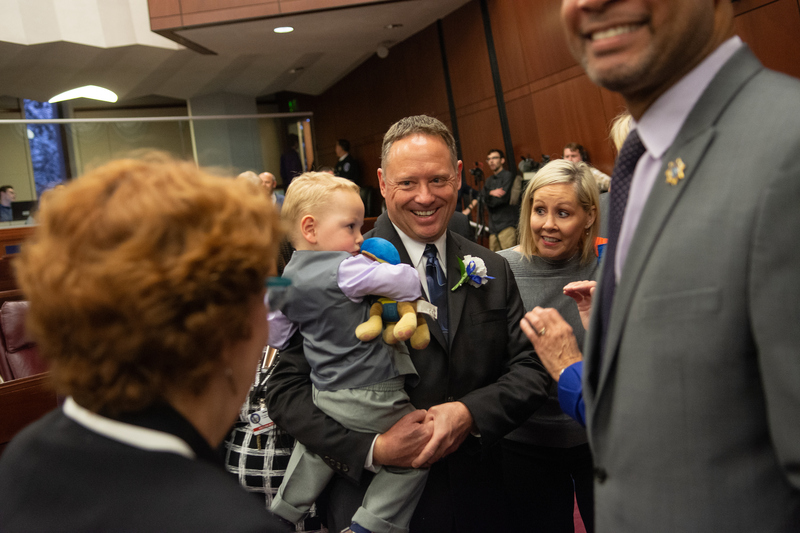 But Monday, at least, was mostly celebration, as captured below by Nevada Independent photographer David Calvert.